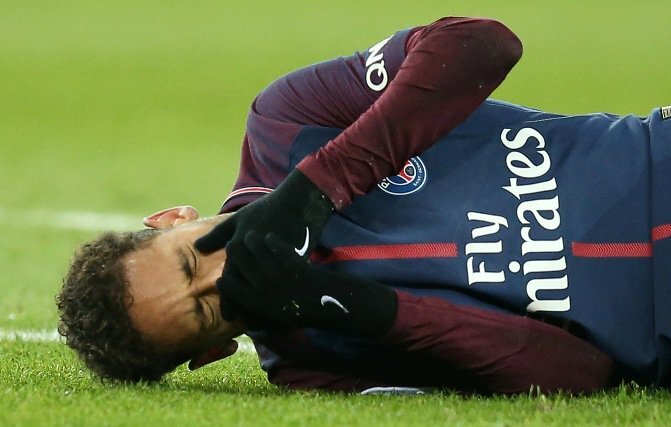 Neymar will undergo surgery for a fractured metatarsal this week, ruling him out of Paris Saint-Germain’s crunch Champions League clash with Real Madrid. The Brazilian, 26, suffered the blow in Sunday’s victory over Marseille. PSG boss Unai Emery refused to rule the world’s most-expensive player out of the Euro showdown next Tuesday. But a club statement tonight confirmed Neymar will need to go under the knife back in his homeland. It read: “In accordance with the player, it has been decided that Neymar Jr will undergo surgery in Brazil at the end of this week. The news comes as a crushing blow to the big-spending Parisians in their attempt to overturn a 3-1 first-leg deficit. Emery, who could lose his job if his side exit Europe, had remained hopeful the former Barcelona attacker would not require an operation. He insisted yesterday that “no decision” had been made about the potential op after reports he had already undergone surgery. But Neymar looks set to miss the Champions League showdown. Although his father Neymar Sr admits his son will be out for six weeks, the star is possibly in a race against time to be fully fit for this summer’s World Cup. He told ESPN Brazil: “PSG know that they will not be able to count on Neymar for the upcoming matches. “His treatment will last six to eight weeks, whether there is an operation or not. “The decision lies with PSG and will be made as a team after the arrival of the Brazil national team doctor.